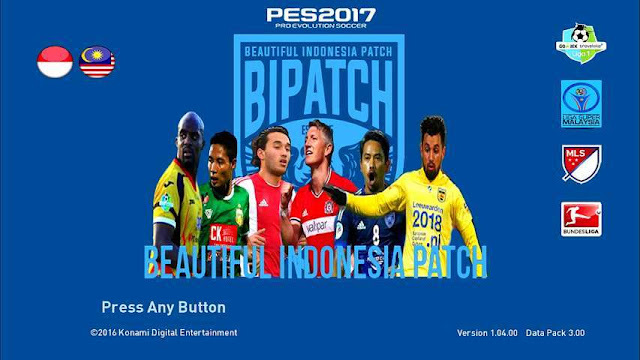 Added Indonesia U-16 National Team ( squad AFF U-16 Championship 2018 ) – Team Colours, Emblems, Formation, Miniface, Managers with photo, Animated Adboard, etc. PES logos, smeagol75/Starvin, lagun-2, ejogc327, Jenkey1002, Suat CAGDAS, buhalo88, Txak, baris, Devil Cold52, Razib_46, extream 87, G-Style, cRoNoS, Tisera09, EsLaM, LE Wilyam, Estarlen Silva, chosefs, Kanat, mauri_d, MT Games, AN63l, Nemanja bre, DrDoooMuk, Dr.H, elemend77, reza9, Kareem Khaled,JesusHrs, Aly M. Elshaarawy, abdul11akbel, RBT, matservant, Fruits, Tran Ngoc, tHE gERS, vladimirnikolic, Tino Hernandez, ginda01, Sontri Doni, Arif Satria, Purp Mete, Pribowo Subekti, Muhammad Jana, Mo Ha, Aziz Setiono , HendriSimZ, Arief Rahmansyah, Chandra Pradana, Dede Xozwara, Yyud, Krisna Kun, Ce Ka, ijal ijal, Farrel Arief, Ibnu Habban, Fachri Andrian, Eddie, Danu Ardiyanto, Susannto S Aguss, Dicky, OZY_96, Alief, G-PW, Nazrul Islam, Buffon99, Secun1972, Tunizizou, Lostpfg, MinchoSheen, Hawke, Sniglet, CgM2k7, prince SHIEKA, elmodamer2010, Fouad39, Amir.Hsn7, Cosme Lima, WER, CR7facemaker, Prince Hamiz, GONDURAS2012, Fabio, Lucas, Rednik, Bou7a, Znovik_S, HD3011, MarioMilan, Spiritusanto, Jonathan, Sameh Momen, Andrey_Pol, Sotirakis, Wygno, Kruptsev, DzGeNiO, Bono10, Brilyan, everest9, Professional, Boulbaba, Steet, Jarray, The White Demon, Vlad_R, RAHUL_2, EmreT, TwistedLogic, Kairzhanov, Shamrik_Gunners, Shaft, nanilincol44, Volun, kelvinchan327, alex7, A.Mussoullini, Ahmedosos21, Kemal2, reus11, Andri_Dexter11, Oguz Emre, AM, VH, Elmodamer2010, Euler, Litos, DanielValencia_EA, Futsur, Nahue, Agiga, Elmodamer, saviogoncalves1995, YuryGood, Amir27, Stels, Abdul Karim Samoy, Tarcisio & Jr, Autentiko, Jefferson_Sf, Rasovukadinovic, Benhossam, Huseyn, Youssef, El Shenawy, Idiz, Burgos, Fede, Mauro, Ancomata, Michi 1860, Shamrik_Gunners, Luisall, All modder PES Editing and All our friend. 0 Response to "Beautiful Indonesia Patch Patch 2.0 AIO + Update C - PES 2017"